WANT TO GIVE A REALLY ‘UNIQUE’ PRESENT THAT WILL LAST FOREVER? The O’Shea Gallery will send you a complete kit which includes all you will need to get started. 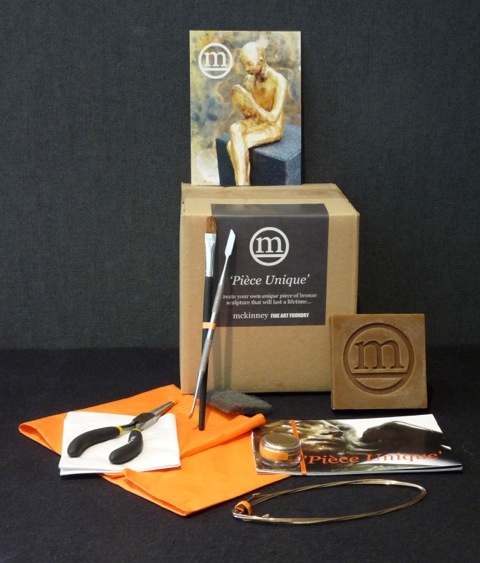 It comprises: 100g traditional blended modelling wax, instruction cards, bronze armature wire, long nose pliers, a quality stainless steel wax modelling tool, superﬁne light gold bronze powder, brush, abrasive pad, tissue paper and return packaging. 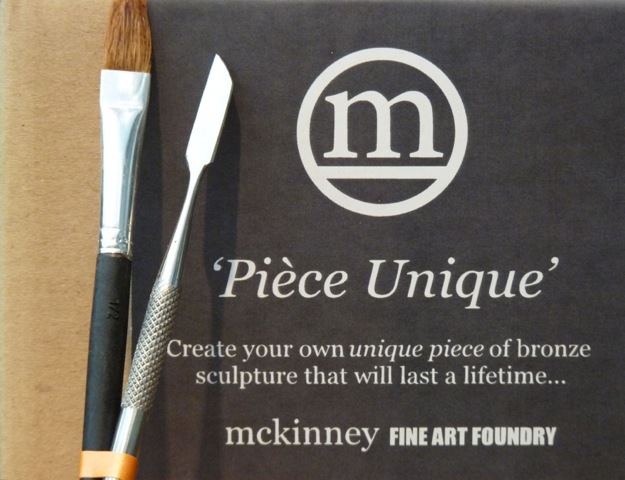 You will also ﬁnd plenty of helpful information on the www.mckinneyfoundry.co.uk website which is continually being updated with hints, tips and new images of people’s work with this special kit. The foundry takes pride in ﬁnishing your bronze sculpture with every piece being hand ﬁnished in our Norfolk workshops. Each piece is stamped with the foundry mark, your initials and the credit PU indicating a single edition cast (Pièce Unique). The foundry ﬁnishes your sculpture by applying a patina and it is ﬁnally waxed, polished and beautifully wrapped for it’s return to you.